XL to hold pages and pages of IMPORTANT paperwork and will keep them securely stored and perfectly DRY. Install the pouch to your kennel by threading onto one of the kennels bolts then hold in place by re-threading the thumbnut onto the bolt to secure it tightly. 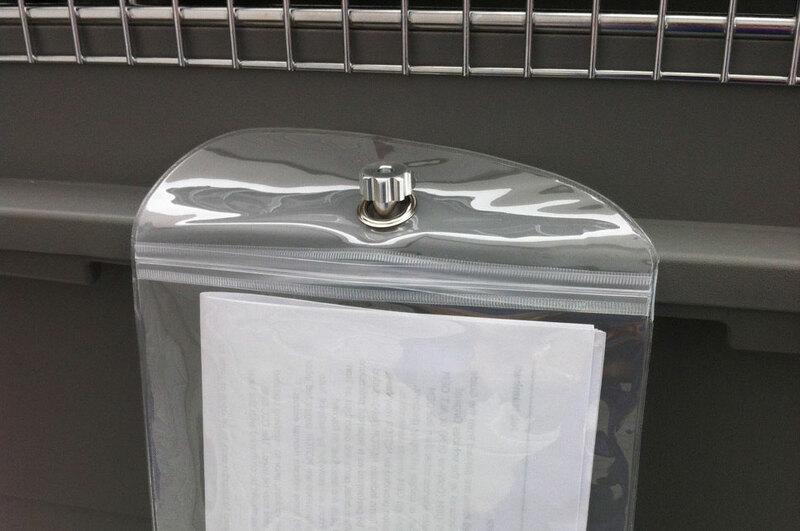 Papers can then be inserted and removed without removing the pouch from the kennel. Transparent as required by airlines for easier faster airline security inspection process. X THICK with Zipper closure located below top where pouch attaches, allows easy access to documents without removing from Kennel. Exterior Measurement: 11.50" x 7"
Interior measurement: 9" x 6.75"